UFO SIGHTINGS DAILY: 'Hey Bill Nye, If Humans Colonize Mars, How Will We Evolve?’ #TuesdaysWithBill UFO Sighting News. 'Hey Bill Nye, If Humans Colonize Mars, How Will We Evolve?’ #TuesdaysWithBill UFO Sighting News. 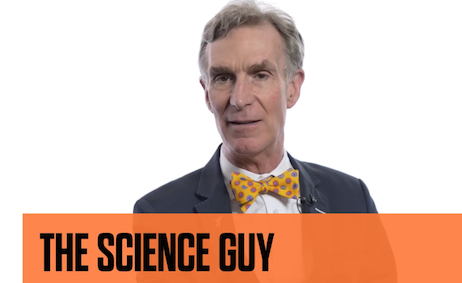 Here is an interesting video by Bill Nye. It discusses how humanity will evolve once on other planets. I believe evolution will happen naturally as well as technologically. Meaning we will grow more intelligent, stronger bodies, and longer lifespans all due to technological advancements. Victor: Hey Bill. My name is Victor and I’m from Markham, Ontario. The question I have for you this Tuesday pertains to human evolution and space colonization. I understand that humans are constantly evolving to adapt to the environment around us. For instance astronauts who have gone on long expeditions need to be carried out of their spacecraft after returning back to Earth. So what kind of evolutions do you think we might see in humans if we colonize a planet with lower gravity like Mars? Thank you. Bill Nye: Victor, Victor, Victor. This is an excellent question and I appreciate you asking it. Notice that it is my strong belief that we will not colonize Mars. It’s a very romantic notion. You live in Ontario. I don’t know but it looks like your ancestors came from the west, the left coast of Canada and a lot of people who first colonized Canada were from Europe. And we have this vision that you leave your native country because you’re getting religiously persecuted or someone is making you a good deal on going to a new world where you can start a new life. And the people that came to North America from Europe thought this was great. They were going across North America eating everything, foraging in the forest, cutting down trees, making farms, finding all these remarkable natural resources, especially in Canada all these wonderful mineral resources.